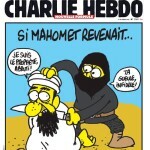 Everybody heard about the ruthless attack on Charlie Hebdo. 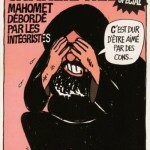 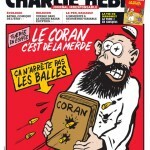 Some publications still show the blurred versions of the Mohammed Cartoons that caused this attack. 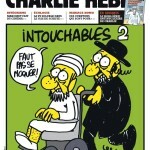 If you do this, then the terrorists win. 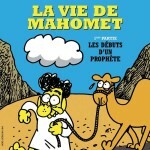 Reprinting and sharing the Charlie Hebdo Mohammed Cartoons is the best way to defy the islamic “cartoonophobia”. 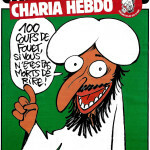 The last issue of Charlie Hebdo magazine, before the attack, featured a caricature of Michel Houellebecq on the cover. 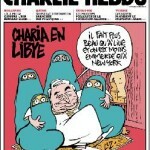 Houellebecq’s new novel, “Submission”, predicts a future France run by Muslims, in which women forsake Western dress and polygamy is introduced. 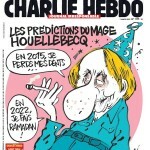 The drawing of Houellebecq, accompanied by a joke about Ramadan, is not flattering at all, but it is a JOKE. 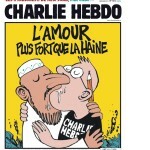 The first edition of Charlie Hebdo since the massacre sold out within minutes on Wednesday, causing the print run to increase to 5 million. 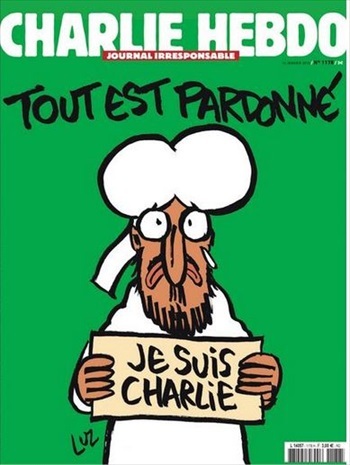 This entry was posted in Creative Ads and tagged Charlie Hebdo's latest cover image on January 8, 2015 by Dan C.